ESR-REIT's 4Q18 DPU in line with estimates. Projected positive rental reversions in FY19 a positive as the REIT moves out of years of declines. High gearing of > 40% limits acquisition opportunities but Sponsor ESR remains keen to support the REIT in its AUM growth ambitions. Planned AEI to further “future proof” portfolio. Maintain BUY with Target Price of S$0.59. stronger access to capital markets that is backed by a strong sponsor in ESR. We expect ESR-REIT to reap these fruits over time, driving an improvement in operational performance. Our Target Price of S$0.59 is maintained. Our estimates are lower than consensus on the back of more conservative reversion assumptions. Despite the current market uncertainty, we find comfort in ESR-REIT’s ability to deliver higher earnings organically on the back of expected positive rental reversions in 2019. We understand that passing rents across its portfolio (except the light industrial space) are generally at/below market levels. This ensures that earnings downside risk is minimised. There is untapped potential for ESR-REIT and VIT’s respective asset portfolios – including at least two assets with unutilised GFA and several others with potential for conversion into higher-spec facilities. One of the immediate benefits arising from the merger would be the enlarged REIT’s ability to be more active on this front, which can boost shareholder value. Maintain BUY with a Target Price of S$0.59. We maintain our estimates and see a yield of >7.5% as attractive re-entry points for the REIT. Fund raisings. Our estimates have not priced in any potential fund raising that ESR-REIT could under-take to fund aquisitions and deleverage in the medium term. 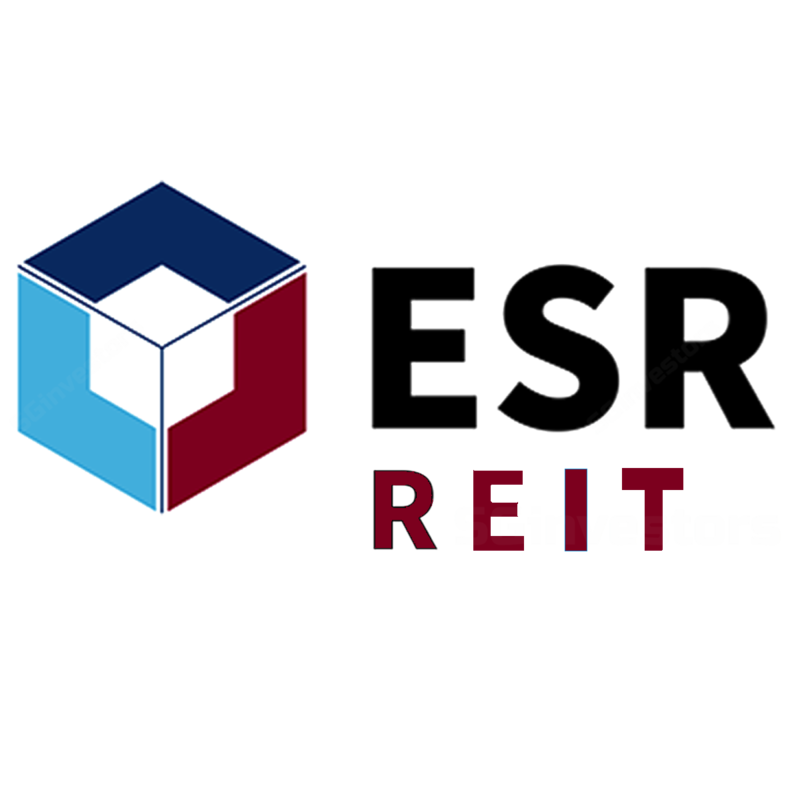 ESR-REIT 4Q18 DPU (post consolidation with Viva Industrial Trust) of 1.0 Scts is in line with estimates. ESR-REIT reported a 4Q18 DPU of 1.0 Scts, in line with our estimate. Showing the first quarter of consolidated numbers post the merger of ESR-REIT - Viva Industrial Trust, the REIT reported an 8.2% rise in DPU to 1.005 Scts compared to a year ago. This was on the back of a 114.9% and 112.1% rise in revenues and net property income to S$58.4m and S$42.2m respectively. Total amount available for distribution came in 140.2% higher y-o-y, including a S$1.8m gain (partial payout of a total of S$6.3m ex-grata payments from SLA received previously). The lower rise in DPU was attributable to a larger unit base which was partially compensated by close to 50% of its fees paid in units in 4Q18 vs nil in 4Q17. One-offs attributable to merger; slight drop in investment properties; gearing rose to 41.9%. The REIT also wrote off S$283m accruing to fair value adjustments to the merger which was largely due to premium paid over the fair value of net assets of Viva Industrial Trust upon completion of the deal on 15 Oct 2018. The REIT also reported a slight dip in investment properties valuation, taking into account the annual independent valuations in Dec 2018 and straight lining impact from rent and marketing commissions. Given the revised valuations for Viva Industrial Trust properties back in Oct 2018, the drop in valuations was largely due to ESR-REIT's properties. Thus, NAV/unit was lower at 46.7 Scts/unit. Gearing increased to 41.9% from 30.3% a quarter ago as a result. Financial metrics at this point weakened slightly compared a quarter ago (average interest rates increased to 3.81% vs 3.76% but was mainly due to a higher proportion of interest rate swaps entered to hedge interest rate exposures). Stable occupancies; expected positive rental reversions in FY19. Average occupancy rate remained steady at 93% as of end-4Q18 (vs 92.9%) while rental reversions in FY18 declined by a lower -2.9% y-o-y. Tenant retention was 56.6% due to a few tenants vacating their spaces. That said, the manager has been able to back-fill vacated spaces or plan asset enhancements to add value to those properties. Long WALE; Cisco system lease to expire and re-let. Looking ahead, we note that the ESR-REIT has close to c.20% of leases to be renewed in FY19, mainly in the multi-tenanted buildings. That said, we understand that the lease for Cisco Systems (2.4% of topline) will expire in the coming year and the manager is actively looking to back-fill the space. Planned portfolio enhancements in the pipeline. In terms of divestment, the manager has also identified a few assets for sale and will continue to actively crystallise value and redeploy those proceeds into higher yielding properties. The manager believes that the focus for 2019 is to improve portfolio efficiencies and extract cost synergies from the combined Viva Industrial Trust and ESR-REIT entities through the rationalisation of maintenance contracts, bringing in-house a number of property management functions. This is expected to deliver a 2-3% improvement in costs over time. In addition, management believes that given the backing of a reputable sponsor in ESR Group, there is increased flexibility in tapping the capital markets and establishing new banking relationships. It hopes to see a compression in credit spreads over time as banks get more comfortable with the REIT. In terms of acquisition, the manager believes that ESR-REIT will remain largely Singapore-centric in the immediate term and will unlikely pursue an overseas acquisition for now.